Cute rustic cottage - only 800m to the main beach, and 1.5k to town. Very quiet cul de sac st - very safe no through traffic. Most suitable for 1 couple but can sleep 4. Linen and cleaning available please confirm on applying. Can have dogs must discuss if suitable and mainly outside. Sit-on kayaks available on request. Awesome local activities please ask for recommendations. Property not easy access so if you have mobility issues please ask for details. Myself and boys have lived in the property since 2008. They are all grown up now, so the house is no longer used fulltime. We use it ourselves when in Taupo, otherwise we are nearby on a Taupo farm. Definitely not a flash upmarket house - a humble comfy Bach. 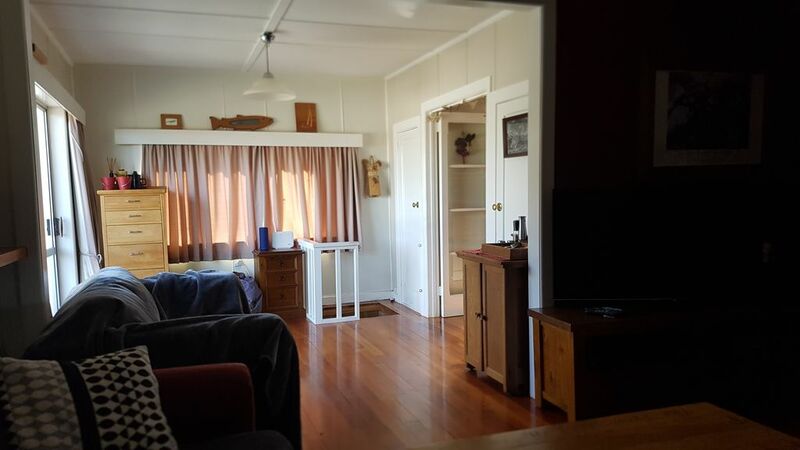 Good value , homely traditional NZ property. Nicely decorated with odds and ends. Quiet Location.